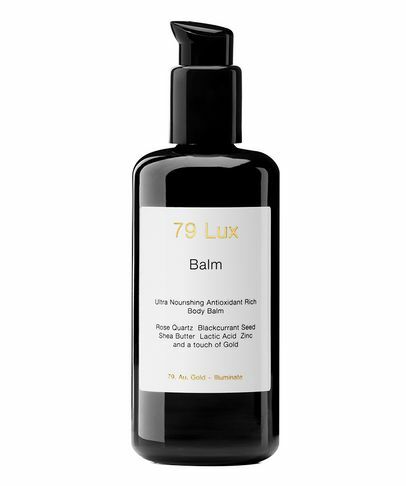 Founded by Cult Beauty expert and authority on health and nutrition, Karen Cummings-Palmer, 79 Lux was born from Cummings-Palmer’s quest to find the best treatment for her thirsty, grown-up skin that still shows signs of childhood eczema. The resulting (ultimate!) body balm is formulated from organic and wild-crafted ingredients to nurture, nourish and protect skin without compromising your health or the planet. Housed in a luxe black violet biophotonic glass bottle to protect the precious contents, you’ll crave the opulent experience of applying this wholesome balm.